The Wimbledon skipper discusses the season so far and whether the Dons can beat the drop. Wimbledon captain Dylan Flashman knows his side have experienced a lot of tough afternoons this season. After the joy of promotion from National Three last year, the Dons’ time in their new surroundings seemed to be running out. 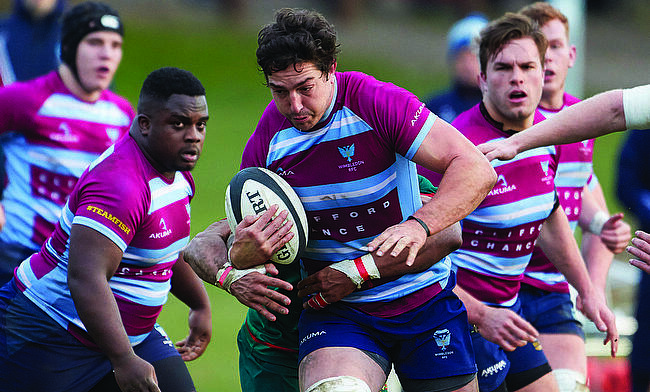 At the end of October, the men from Barham Road suffered a 60-6 defeat to London Irish Wild Geese which condemned Wimbledon to their ninth straight defeat. Two weeks later, they shipped another 60 points away at Chinnor and things were starting to look bleak. Without a win in National Two South and rock bottom of the division, Wimbledon were approaching the second half of the season with a mountain to climb. “We had a tough start. It was quite a steep learning curve,” said Flashman. “I think our start was down to the fact that we lost a few of our key players and we had injuries. “It was always going to be a big step up, but the way we began the season was probably down to the little consistency we had in our squad. It was a bunch of players that hadn’t played together and we sort of just tried to come together as a team. “All the teams capitalise massively on any error you make in this league and it took us a while to adjust. However since the turn of the year, life in National Two South has become much more enjoyable for Wimbledon. A side which looked dead and buried are now going through a resurgence. Following just one victory from their first 16 matches, the Dons have catapulted themselves back into the race for survival after a run of five wins from their last eight matches. It seemed highly unlikely that Wimbledon would mount a challenge to stay in this division, but with six games left in their season, they have a real chance of avoiding an immediate relegation. “Touch wood, the strength in squad is improving,” added Flashman. “We learnt a lot from our slow start and because we have been able to bring players back into the team, there is a lot more experience and the way the coaches have improved us has been a massive boost. “We have also performed really well against some top sides in the league which has been vital for our confidence. “If we can keep getting those results and put in similar performances as well as focusing on the must win games at the bottom, then I think we can push to prove our worth in this league. Wimbledon face the top two sides in the division over the next few weeks with this Saturday’s home fixture against Chinnor followed by a trip to league leaders Cinderford at the end of month. The Dons then face Tonbridge Juddians before taking on Broadstreet, Old Redcliffians and Barnstaple in their final three matches of the campaign, but Flashman is just focused on picking up points in each game rather than looking too far ahead. “We are just focusing individually on every match as it comes,” said Flashman. “The extra points here and there will be incredibly important and performing for 80 minutes is something we have focused a lot on. So, can that confidence and recent momentum keep Wimbledon up? 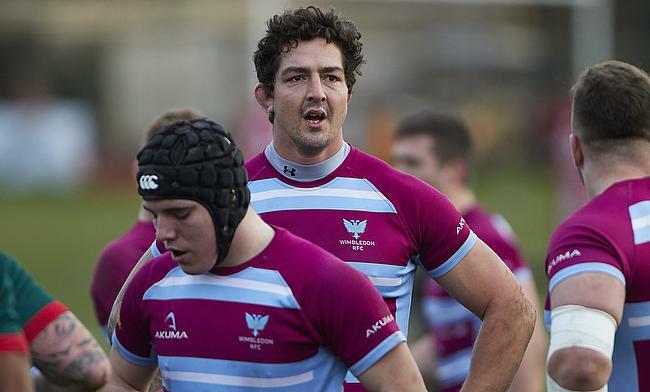 Flashman admits it would be a huge statement if his side were able to secure their status in National Two South. “It would be massive for us as a club and for us as a squad to stay up in this league,” Flashman added. “You don’t want to become possibly known or remembered as a team that bounces between National Two and National Three. “When we came up into National Three, we didn’t have a great start either but we recovered from that. We won the play-off to go to National Two so we have proven we might be slow learners, but we are definitely good enough, I believe, to stay in this division.